Although slightly cheered by discourse with dormmates last night, the whole rigmarole of staying in the YHA seemed to have been an exercise in trying my patience, and I was glad that phase of the trip was over. Now I could look forward to simply dealing with whatever nature threw at me and any problems I happened to inflict on myself. I repeated my early start of the day before, and so as not to run the risk of forming a dependency habit, opted to add bacon to today’s sausage baguette. 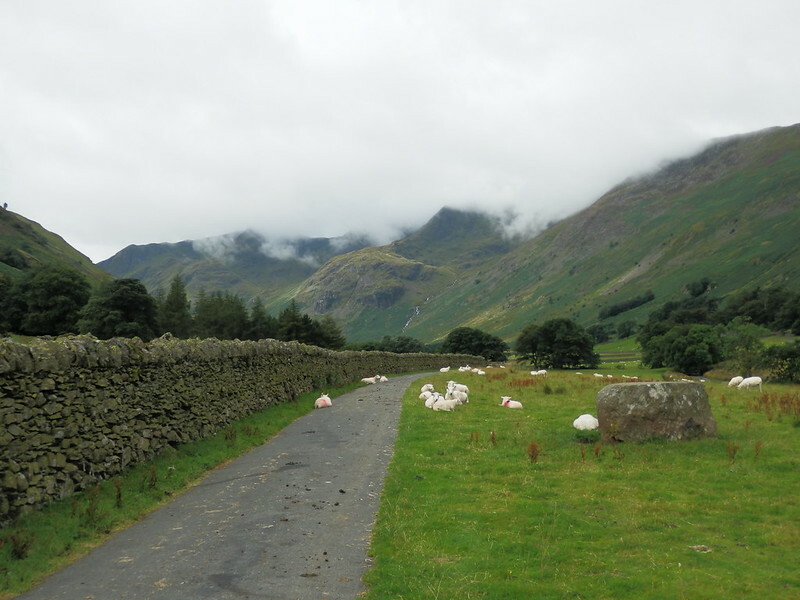 Then I turned to head the other way from yesterday, and made my way along the road, then track, then paths that would take me up the Grisedale valley. Laden down with all my stuff today, I took it deliberately easy, expecting it to be harder going. Despite the early start, it was almost midday when I climbed over the final lip of ground and looked down over the tarn itself. 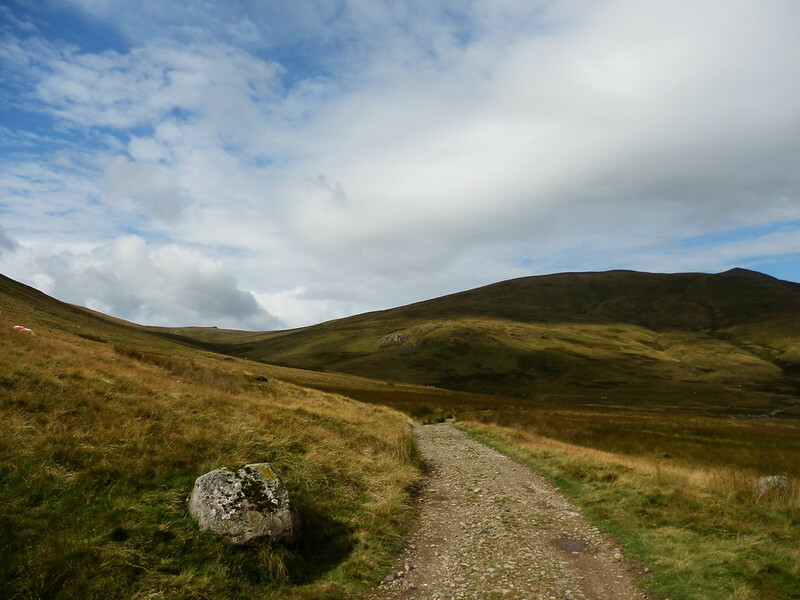 The climb onto Dollywaggon was completely different to how I remembered the path from last time – but then that was 9 years before, and Fix The Fells had sorted it out a few years ago. Not only the way up but the top itself bore little resemblance to my last visit. 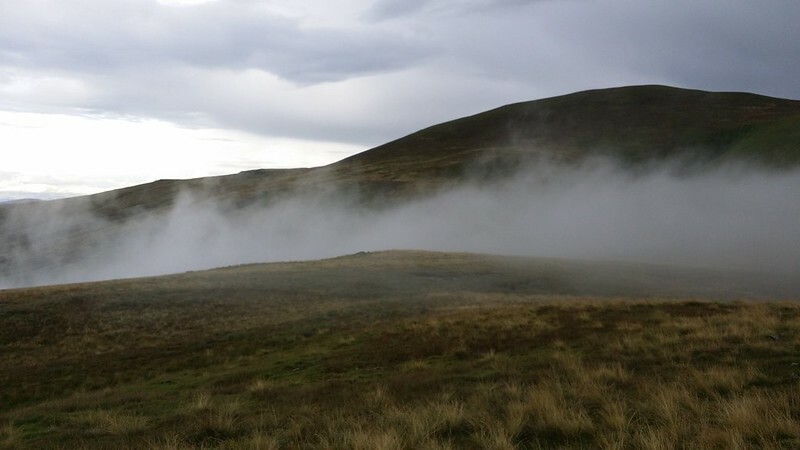 Then it had been misty, and looking at the map afterwards began to doubt whether I had actually reached the actual summit. 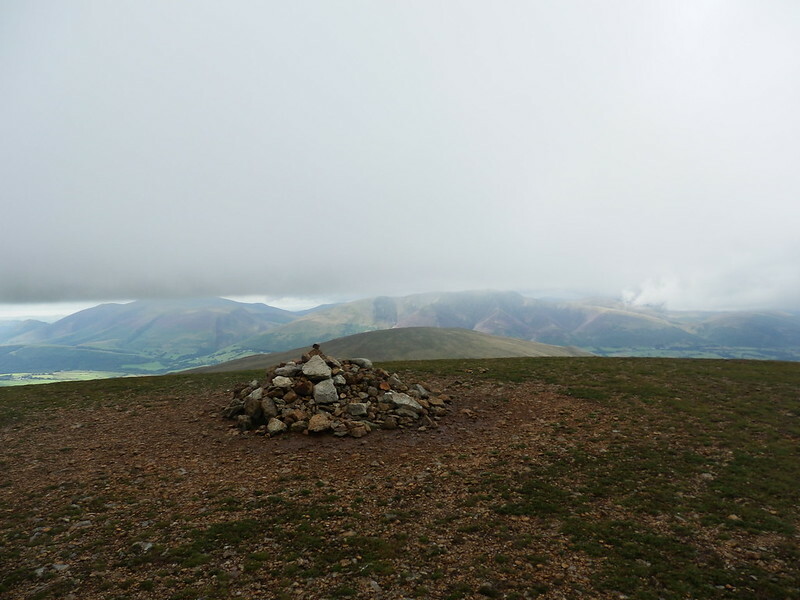 Certainly as I walked over to it this time, it seemed that I might technically have missed it last time as it’s a bigger detour from the main path from Helvellyn than I remember. Oh well, doesn’t matter, I’d got it now. 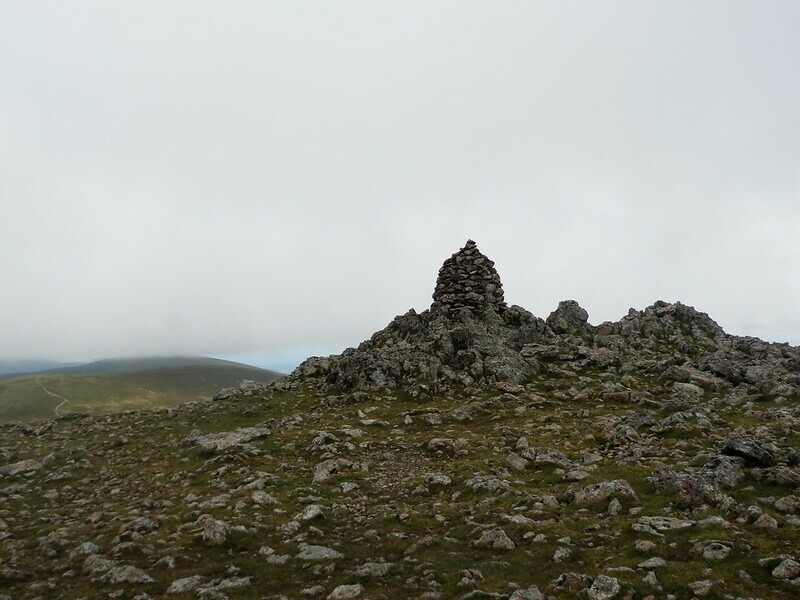 I dropped down and then walked over another bump which I initially assumed was High Crag, but on consulting the map found it was just a bump. 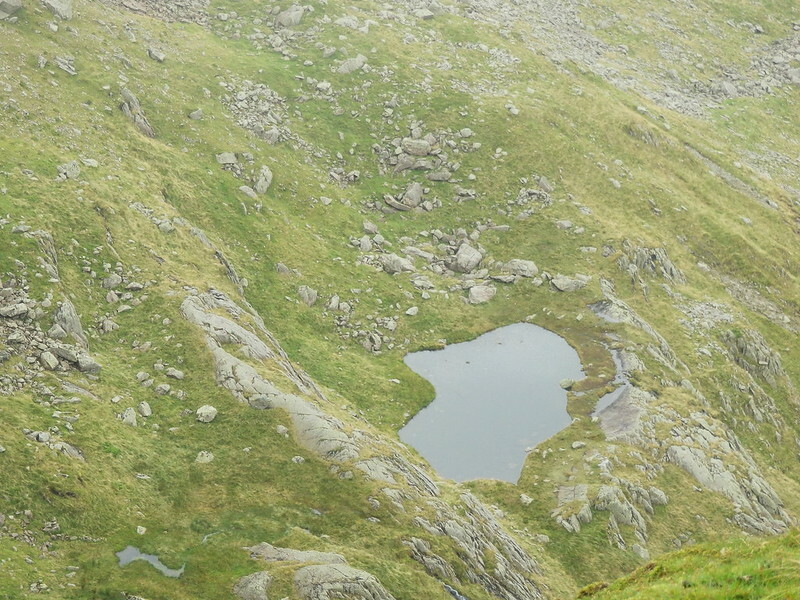 The next one was High Crag though and as I passed between there and Nethermost Pike, I took some time to stare down over the edge at Hard Tarn, seemingly way below. 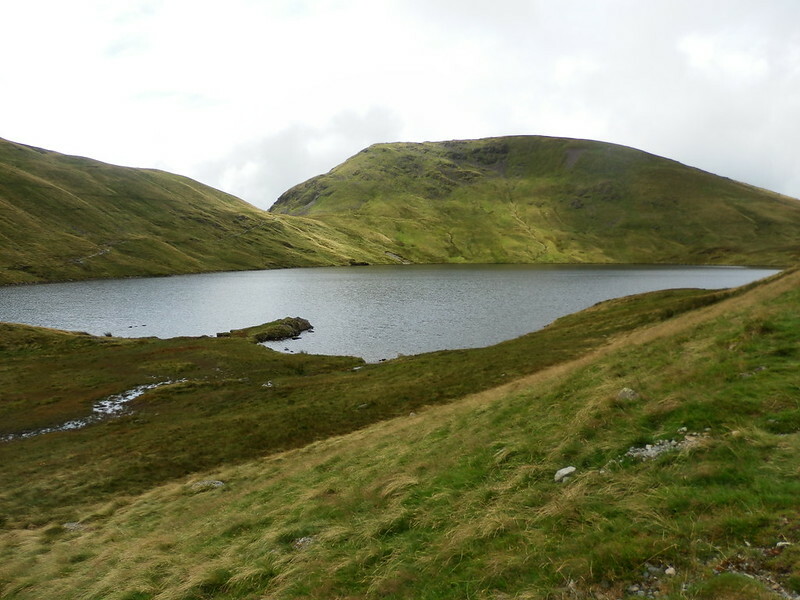 (And having now seen Mark Richards’ route onto Nethermost via Hard Tarn on Terry’s latest film, the desire to explore down there has grown even more). 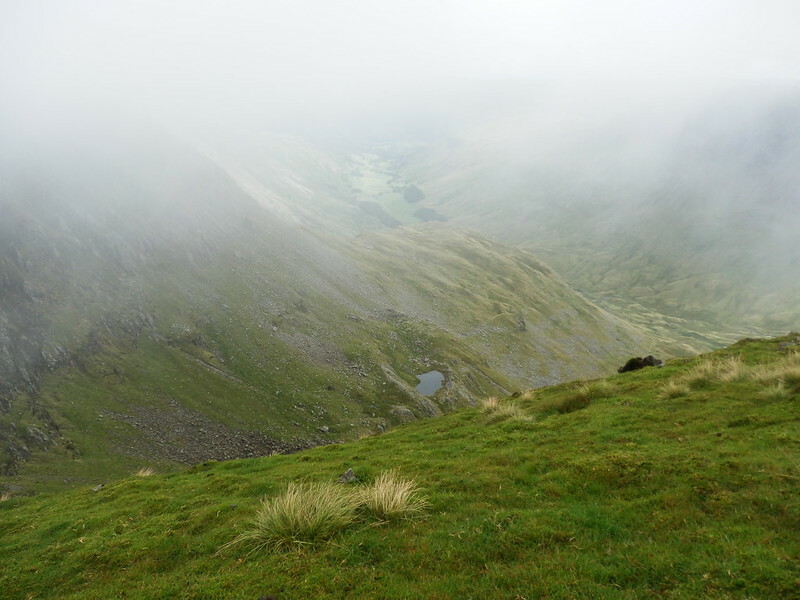 As I completed the ascent onto Helvellyn, mist swirled over Striding Edge, and I was happy not to have taken that route up today. I had a sit in the shelter and got some food inside me until I felt myself getting cold, and then got on my way again. 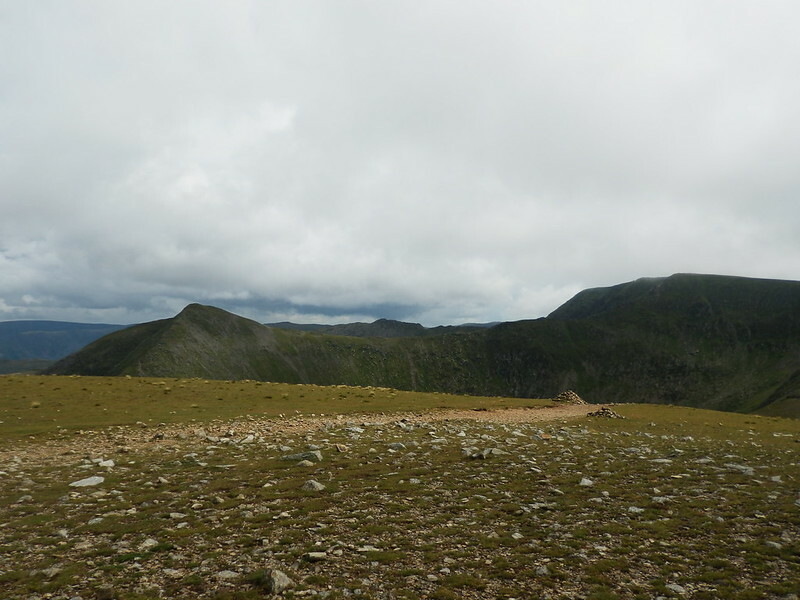 I headed down Lower Man and onto White Side then Raise, people melting away from the path the further I got from Helvellyn itself. Sticks Pass then I was climbing onto Stybarrow Dodd. From here Watson’s Dodd seemed a pretty poor reward for the detour involved, but I did it anyway. 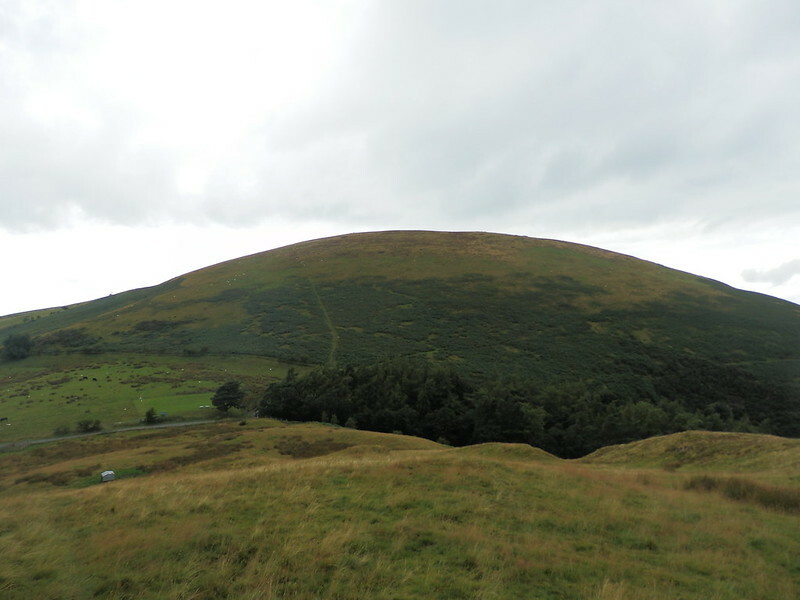 With the day advancing and the sky looking greyer, I climbed up onto Great Dodd and could now see how much of the ridge I had left to do. 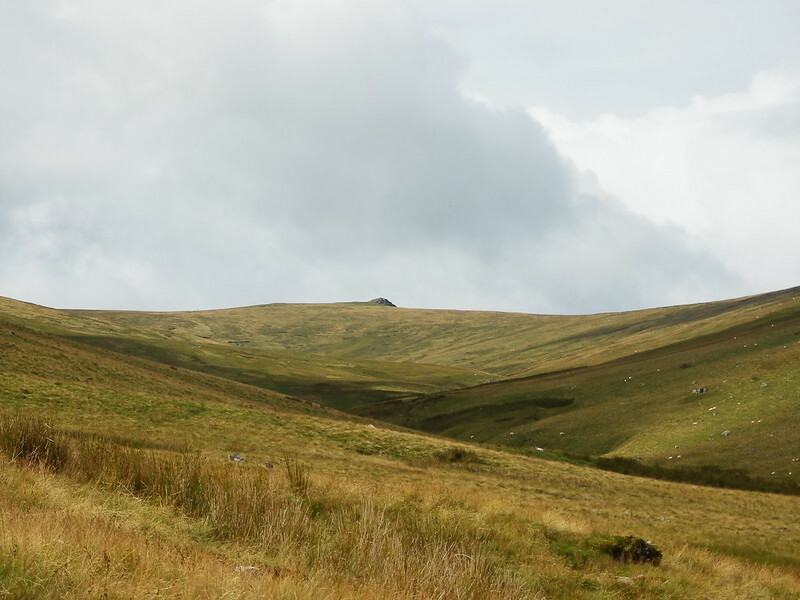 With no fixed idea of where to camp, other than potentially descending the ridge towards Rowantree Fold, I now started to look out for a suitable spot while I completed the rest of the walk along the main ridge. 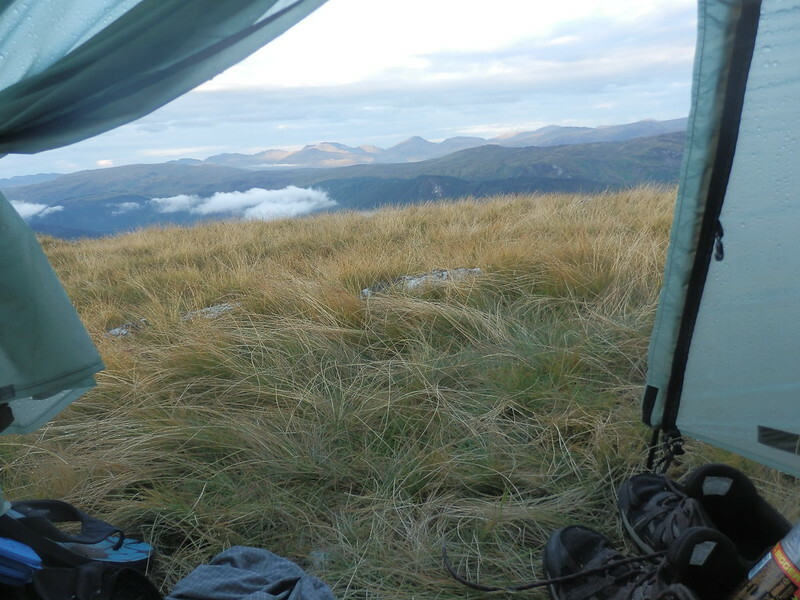 Calfhow Pike came into sight and the idea of a camp there sprung up. But it had been so long since I went there that I had no idea whether it was viable. 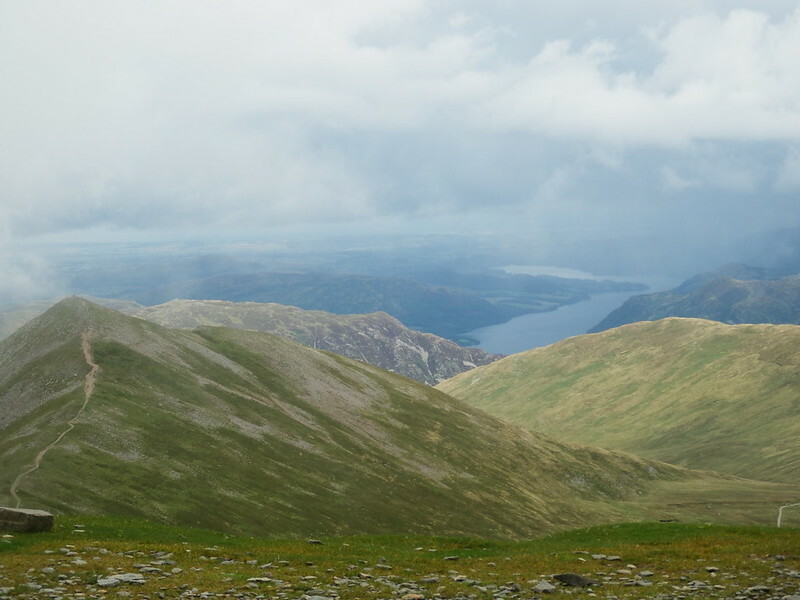 I reached Calfhow Pike and after a bit of exploring found a flattish spot just below the summit and sheltered form the north-westerly that was currently blowing. My decision to stop there was confirmed by the rain starting as I unpacked Monica. 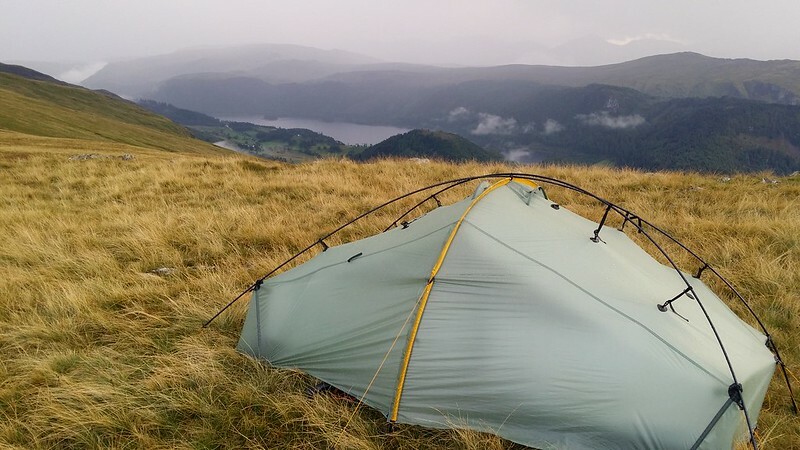 I got her up as fast as I could and piled inside as the rain increased dramatically, pounding the tent while I lurked inside waiting for a break so I could go and get some water. It also seemed that with the rain, the wind had shifted to the east, but wasn’t strong enough to cause any concern. 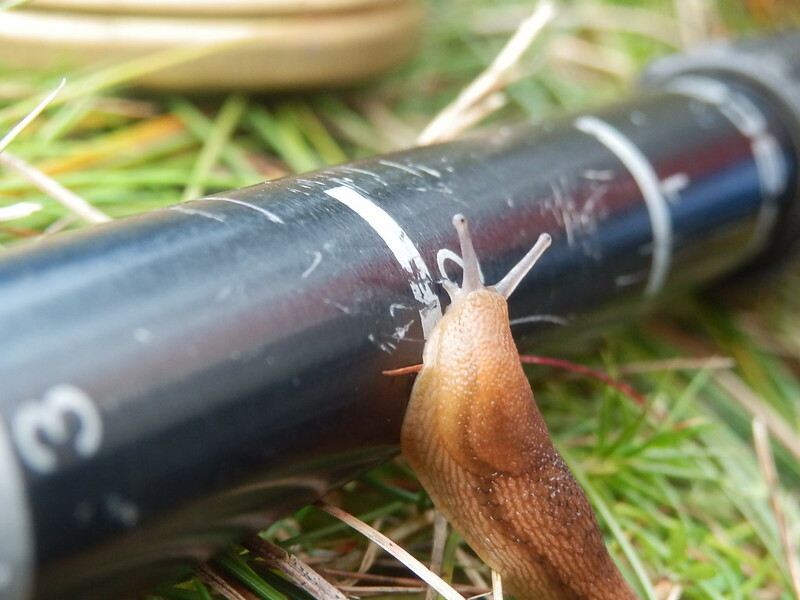 While I was besieged by the weather, I phoned home. 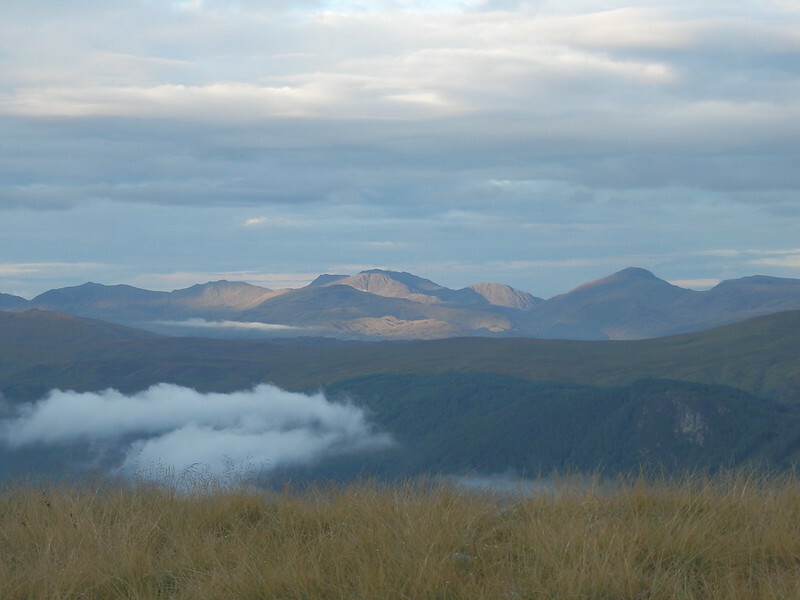 It took half an hour for the clouds to empty themselves and when I stepped out a lovely sight greeted me – thin wisps of clouds passing over the ridge. 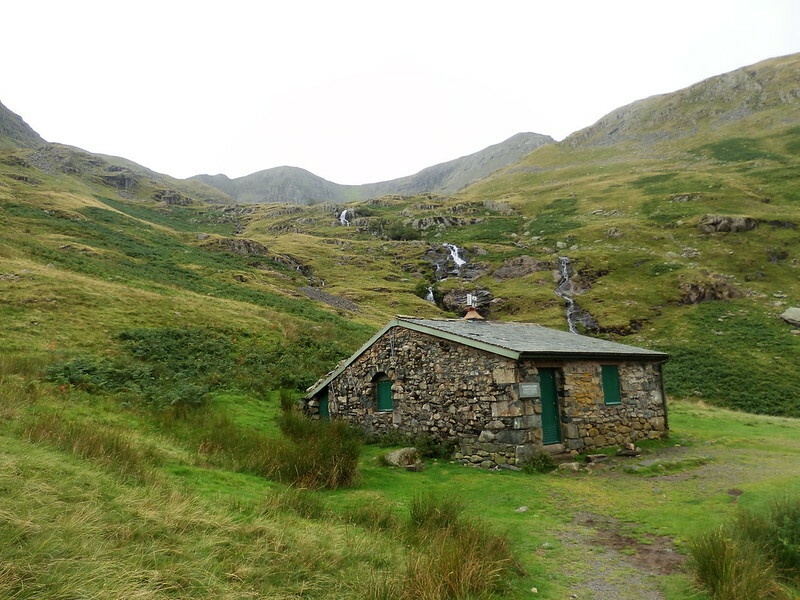 I grabbed my dirty platy and sawyer pouch and headed down the eastern side of the ridge to find the streams marked on the map, eventually getting my supplies in a nicely gushing run-of from Great Dodd. 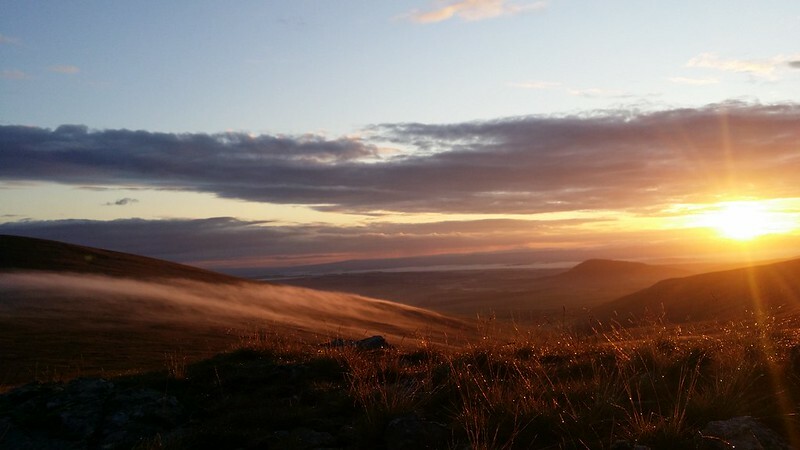 I woke in time to see sunrise, and this is always a good way to start the day when wildcamping. 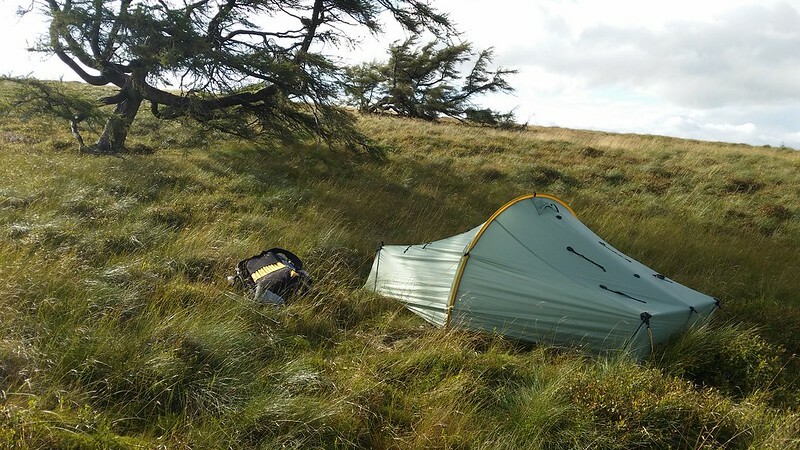 Having got a weather forecast for the weekend whilst at camp, I spent quite a while thinking it over – some big winds and generally crap conditions were due to come in for Saturday and Sunday, and so I had to decide whether to bail out at the end of today. 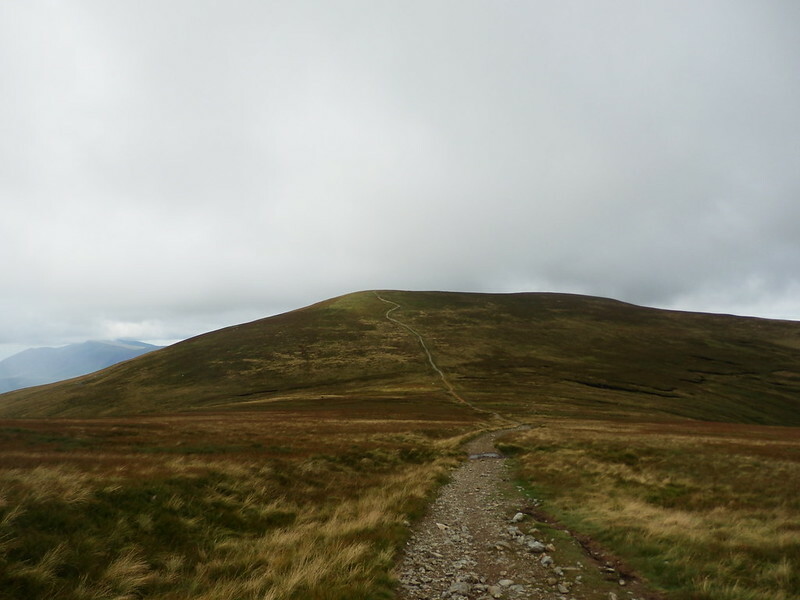 All of this cogitating made for a slow start, but by the time I was walking the short distance up onto Clough Head, the decision to cut out the Northern Fells phase of the trip had been made, and the only decision now was whether to go home this evening or early Saturday. To some extent that could be left until I saw what progress I was making though. 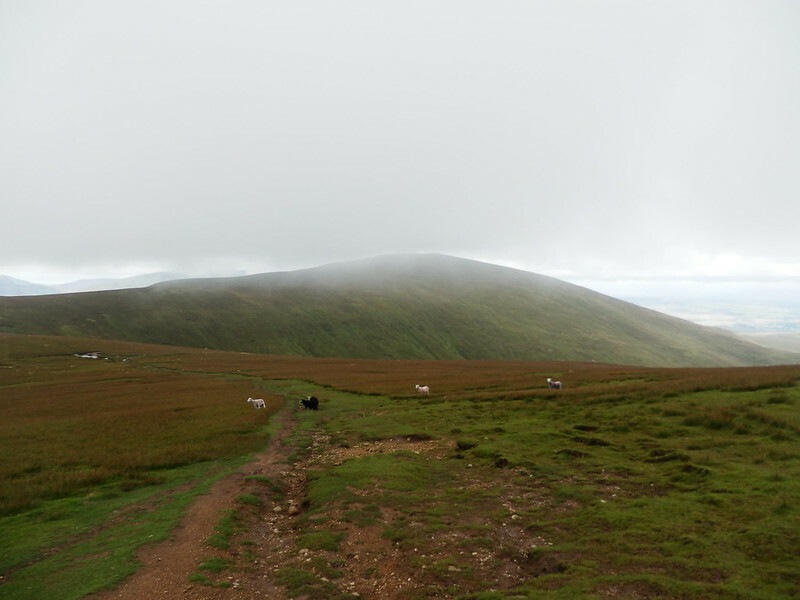 I spent a few minutes taking pictures in each direction from the summit of Clough Head and plotting my next move. 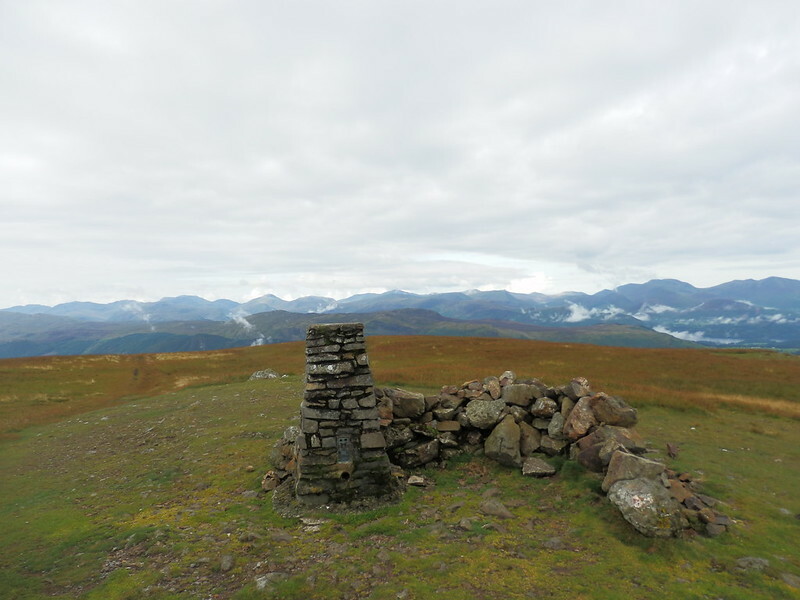 I walked down to White Pike and assessed the choice of routes down to the Old Coach Road. 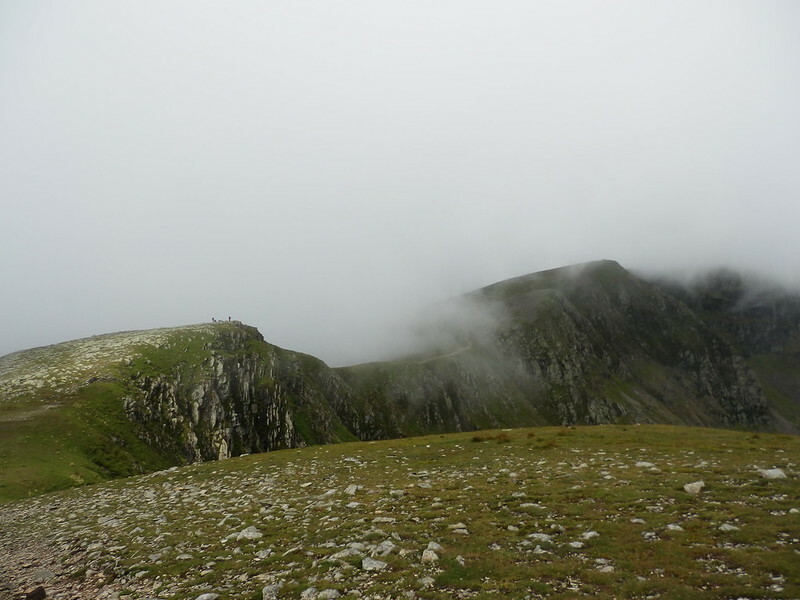 Not being tempted by the direct descent, I simply followed the obvious ridge path down and was soon down. Even though this was further, in hindsight I think it was quicker. A new fence had been put up since my last visit. I climbed over and set out along the Old Coach Road. A little further along, two figures were approaching and as they got nearer something about them looked familiar. It turned out to be Pauln (@prb43) and Sian (@MrsSianB) and we spent ten minutes or so chatting before we headed off in opposite directions. Ahead of me a couple with an unruly Beagle provided some amusement, and then the peace was shattered by dozens of motorbikes bombing along the track. 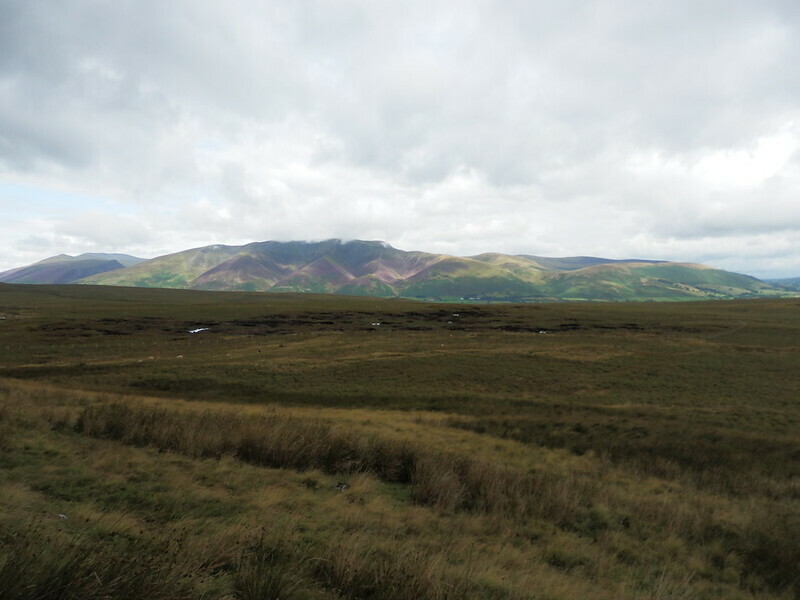 Great Mell Fell, my overall target for the day, looked a long way away, and that’s even before considering the fact that my route would loop around to it. I ground out the remaining couple of miles to the end of the track and then along the lanes to Dockray. A pint and a feed in the Royal Hotel just as it started raining was well-timed, and had stopped by the time I got going. 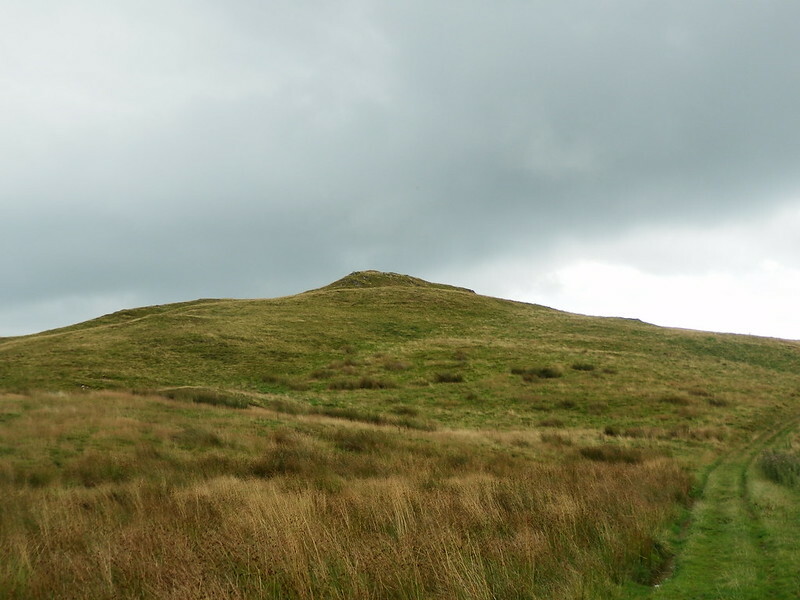 More rain came as I begun the climb up onto Gowbarrow Fell, playing a game of hare (them) and tortoise (me) with a family of 8. 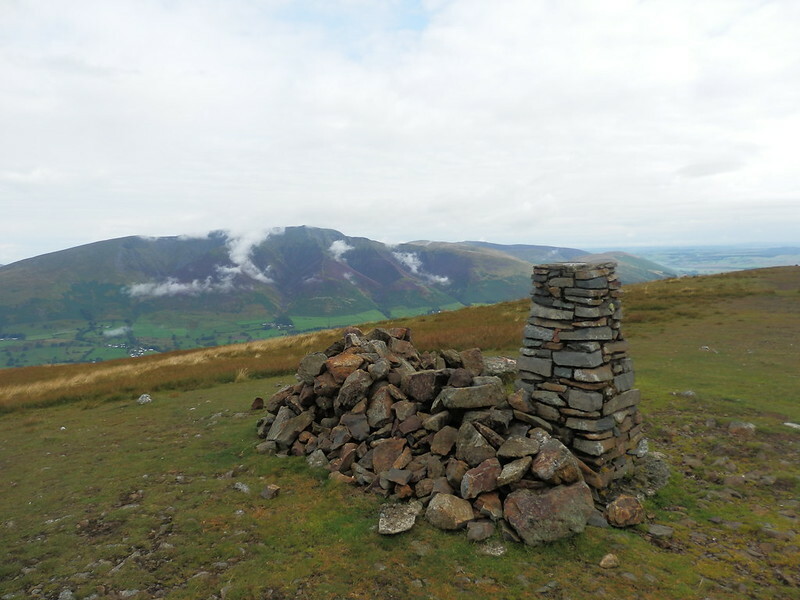 As the upper part of the fell was reached, I burnt them off and made for the summit. Having only been here in March, I didn’t feel the need to linger, especially as there were a few people here, so headed down the bracken-lined path to the ladder stile that would take me up onto Great Meldrum. Now the most uncertain part of the route came up. Back in March, Cath and I found ourselves fighting our way along the fringe of the trees over Little Meldrum, but this time I paused at the fence and decided to risk the ride through the trees that appeared to be on the map, and which we’d not found last time. I found it relatively easily though, but boy was it damp underfoot. I squelched my way along and it brought me out just a few yards from where we’d turned to go the other way last time. 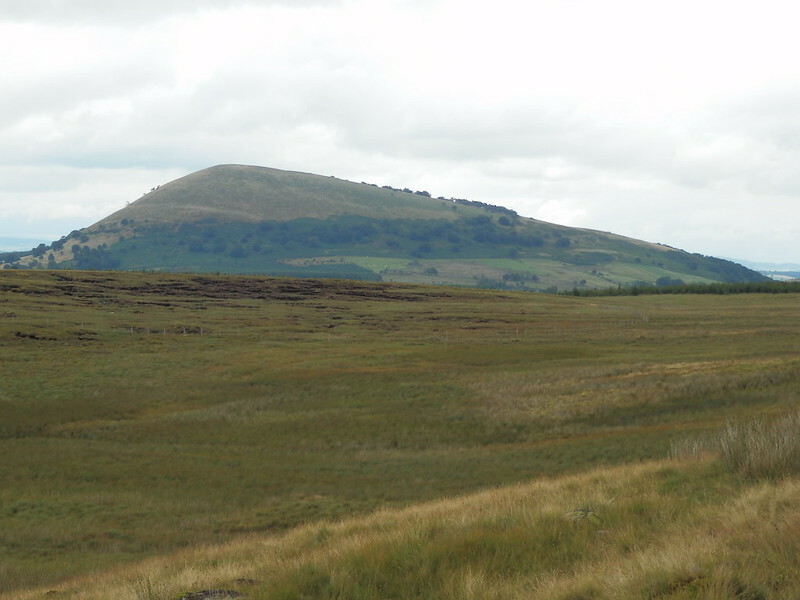 I detoured slightly to pick off Watermillock Fell (aka Little Mell Fell South Top) which we’d missed last time, despite being yards from the path. 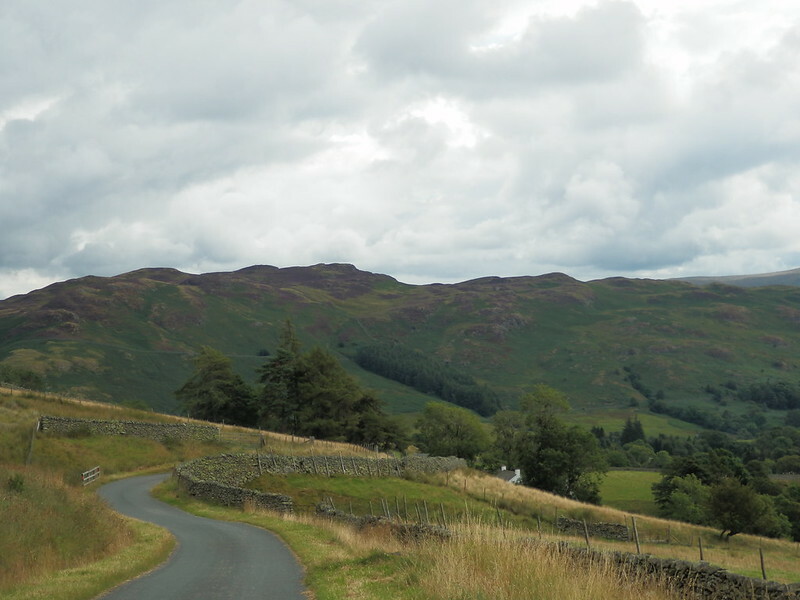 Now at the road, I crossed the muddy patch that had provided Cath with so much mirth when I slipped into it on my last visit, and began slowly inching up the fell. 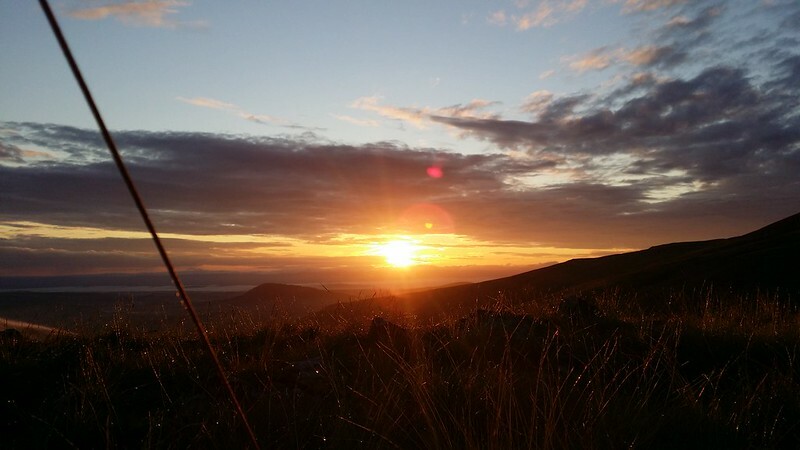 A few minutes at the summit of Little Mell Fell were all that was needed, given we’d camped there last time. 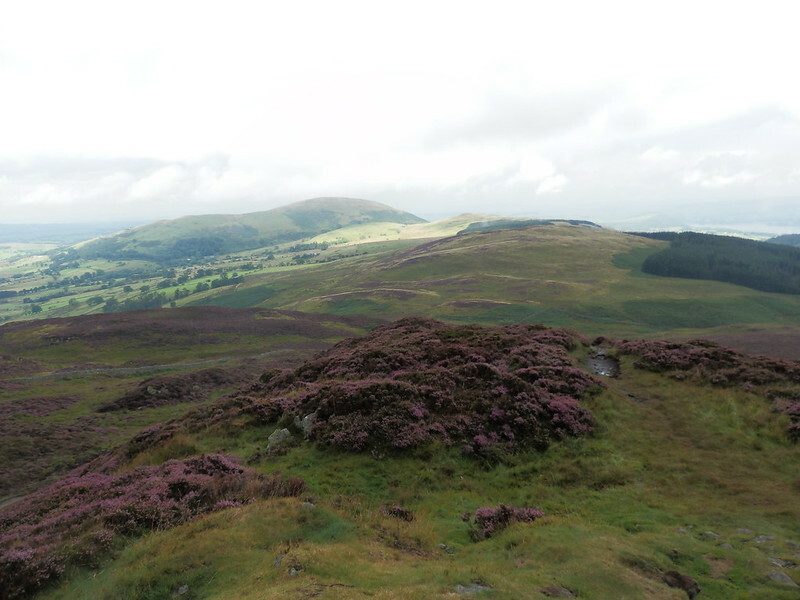 With legs starting to tire, I wanted the shortest possible route over to Great Mell Fell, and went for a fairly direct descent over the west side of the fell. A bit of twisting and turning brought me to the track marked on the map and that brought me to the road. 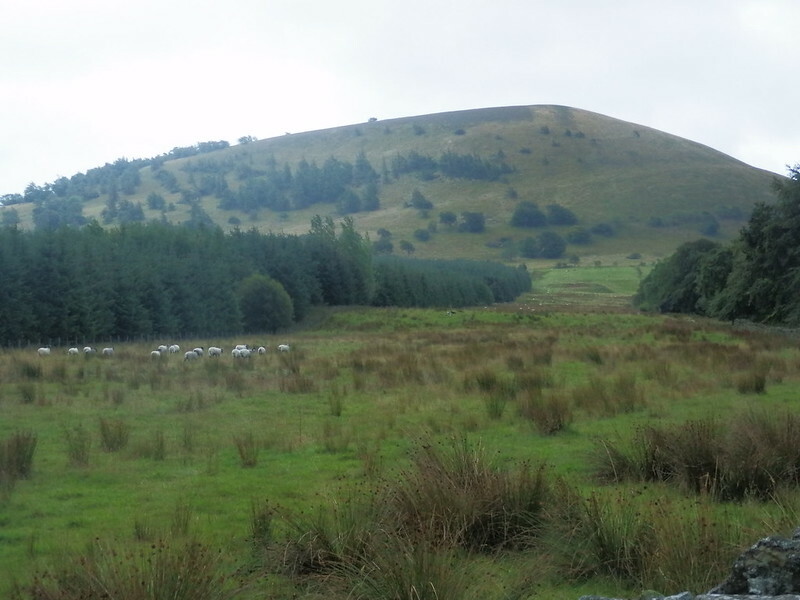 A poorly signed path between the two farms at the valley sides, solved with some stubborn map reading and logic brought me to Brownrigg Farm. 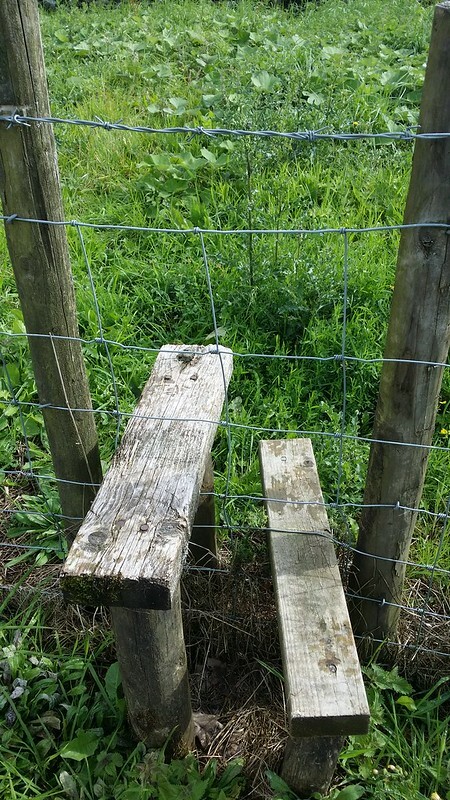 Why they feel the need to sign a permissive path (presumably to keep you out of the farmyard that the actual public footpath runs through) and then to top the stile at the end with barbed wire is a mystery. I filed this farmer away in the already crowded “git” category and moved on. 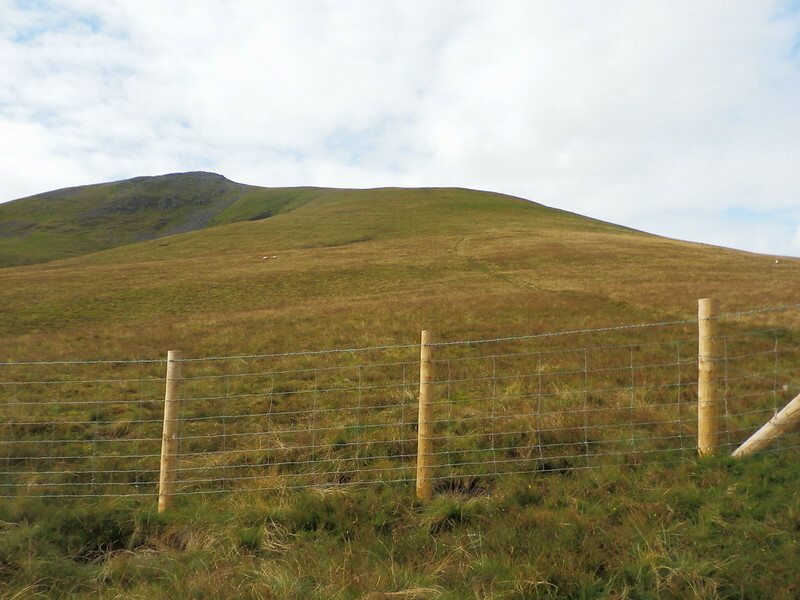 Why oh why do people put barbed wire across the top of stiles ? Climbing Great Mell Fell at the end of a full day of strenuous walking felt like really hard work, but somehow I made it, although I walked at a pace that I could look for potential camp spots in case I didn’t fancy the summit itself. I got to the summit and it was a bit breezy for my liking, and with poor prospects for sunset and sunrise, I opted to park out of the breeze. 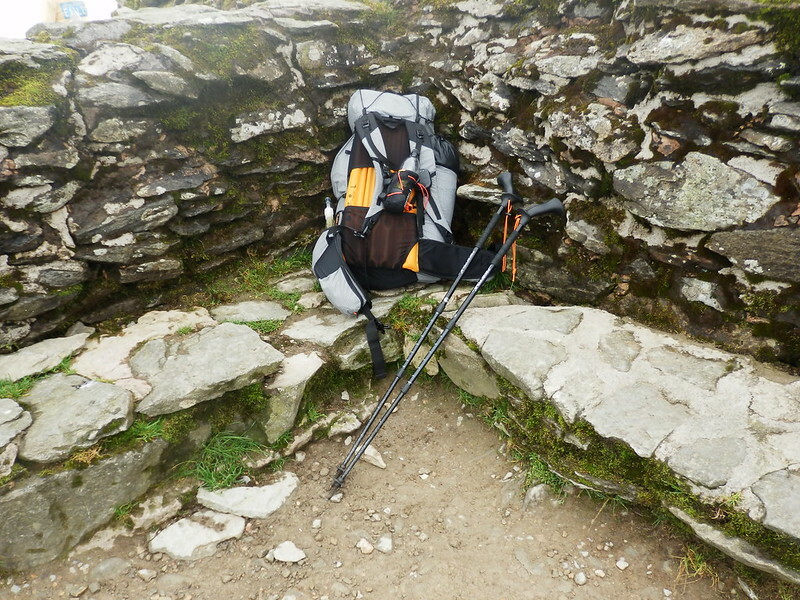 I checked out a dip below the summit but that was a bit soggy, so headed for the top fringe of trees, finding a spot that was nicely sheltered albeit a tad slopey. 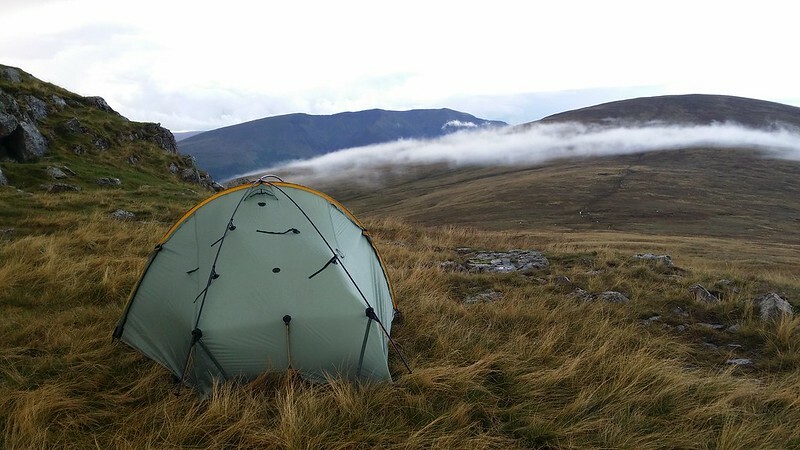 Being the last night of the trip, I’d saved the Fuizion Chilli (in my view their best meal), and knowing that I was going home the next day, I tried to make the most of the evening in the tent, remembering to call Cath to confirm what we both already knew by now – that the planned Northern Fells walk was off. I woke to the pattering of rain on the tent. It was just light, but the rain and lack of glow meant there would be no sunrise to see today. Last night I hadn’t concluded on which train to get but a quick search on the National Rail app gave me an idea. The fact it would take me most of the day to get home anyway, meant an early start was a good idea. The bus timetable gave me a target to aim for. I packed up quickly and was on the way for 6:36am. 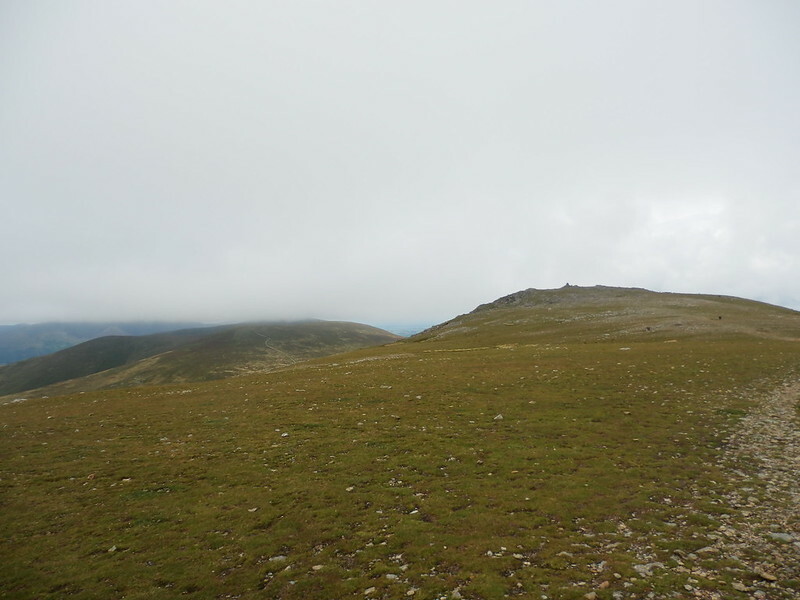 Back up to the summit where I could already discern the rising wind and the miserable look in the sky, then a steep descent directly to the old rifle range. Trying to go as quickly as I could on what was unpleasant terrain, I was lucky to only slip once. I made it to the bottom and all that stood between me and the bus was the rifle range and a short stretch of road. I climbed the gate and weaved among the grasses and sheep, hoping there was a way out at the other end. Fortunately, there was, and a few minutes later I was at the bus stop catching the 07:28. A successful walkout, if a tad early.